← Life after Bitter Disappointment – Goodbye Henrietta Street Is Back! Author, Jean Fullerton has to be one of my favourite authors. 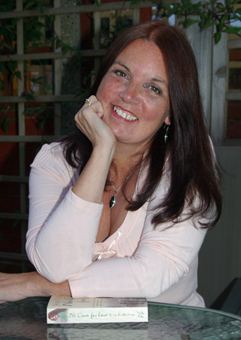 I first met her in 2011 when she offered to do a workshop for new writers in Yorkshire. Nothing is too hard for Jean. Her work in the nursing profession shows, not only through her writing, but in the support she provides to new writers and also new authors. Where she finds the time to write and work alongside her ecclesiastical husband, as well as looking after her growing family, I shall never know. The main thing is she always has a smile on her face and I really do admire her drive. I hope you will enjoy reading more about Jean and her year in progress. Thanks for asking me to be a guest on your blog, Lin, to talk about my writing year. My writing year actually consists of two years running concurrently, one for the book I’m writing and the second is the book being published that year. Readers like to follow character through a number of books and so series are very popular at the moment. As a writer I like them, too, as having built my post-war East London world with the St Georges and St Dunstan’s Nursing Association, I only have to pick up where I left off. However, alongside familiar and much loved characters like Millie Sullivan and Connie Byrne, I try to find new angles on stories and fresh characters for each new novel. The East London world where I’ve set Millie and Connie’s stories, was a place with a bomb site on every corner and with a chronic housing shortage. Families of six or more children were commonplace and often had to share houses condition often with only cold running water and an outside lavatory. War-time East London had a flourishing black market and with the close proximity of the docks this undercover economy was soon taken over by criminal gangs in peacetimes. As today, there was a diverse community made up of Chinese, Maltese, Greeks, Turkish, Poles, Irish and the native Cockneys. 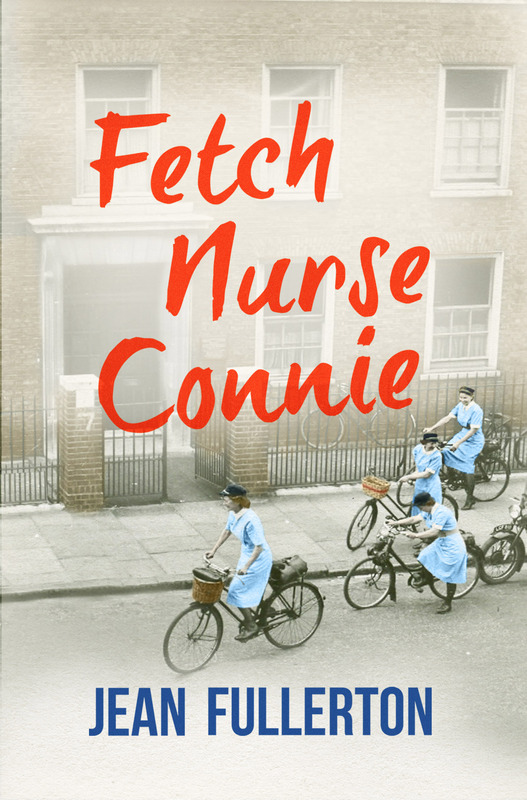 In her limited spare time – one day per week – Connie and her fellow nurses would visit the cinema and lose themselves in the latest releases with Fred Astaire and Ginger Rogers or go dancing on Saturday nights in the various dance halls ‘Up West’. Social attitudes were changing and the many men who returned expecting to find the little woman content to spend the day cleaning the house were disappointed. But running alongside these new ideas were the much more rooted ones such as helping your neighbours, bringing children up to respect their elders, ‘bringing trouble home’, looking after your parents, not owing anyone anything and not taking charity. Becoming pregnant outside marriage was taboo. Young women were not allowed any sexual liberties before they were married or else be labelled a tart. Young men were expected to be wild and aggressive, sort out their problems man to man and stand their rounds but if they did get a girl in trouble they were expected do the right thing. My writing year started for me at the beginning of September 2014. This is because I’ve usually just handed in the book due out the following year. I try to take a break in the summer although sometimes it’s to do another project like writing a novella or a short story. However the serious heads-down writing year starts in earnest in September. I spend the first week plotting the various strands of the new book on a spread sheet and then I write the immortal words, ‘Chapter One’. As any writer will tell you, the opening pages of any novel are crucial for capturing the reader, so I take a lot of time over the first chapter to set the scene, as I’m aware that new readers will be coming fresh to my post war East London world. By October I’m well into the book but it isn’t long before the edits for next year’s books arrives. I have to take my head out of the book I’m currently writing and get back into the one I finished a few months before. Thankfully these days the edits are small changes they only take a couple of weeks then I’m back to the new book and try to get as much done the copy edits arrive in December. These are much quicker and I try to turn them around in a week and then back to the 2015 book to get another couple of chapters completed before Christmas. Somewhere along the way I’ve got the cover for the 2015 book through for approval, and so we get to Christmas. As I’m aiming to get the book to my publisher by the middle of July I try to be at least a 1/3 of the way through by the festive season . It doesn’t always happen as life sometimes intrudes. As the 2015 book will go into production in April the page proofs arrive sometime in Feb. These are just the tiddly little comas and wrong word read and I’m lucky that my Hero-at-Home does these for me so I can plough on with the book I’m currently writing, which will be published in June 2016. That’s usually the end of my involvement with the current book until a month before it’s released when I have to spend time publicising it. So now, somewhere around March, I’m free to get on with the current book. I aim again to have the first draft of this complete before the new 2015 book comes out. I allow myself a week of publicity before going back to the first draft and editing it so I can get the book to my agent by the end of July before collapsing again. Connie Byrne, a nurse in London’s East End working alongside Millie Sullivan from Call Nurse Millie, is planning her wedding to Charlie Ross, set to take place as soon as he returns from the war. But when she meets him off the train at London Bridge, she finds that his homecoming isn’t going to go according to plan. Connie’s busy professional life, and the larger-than-life patients in the district, offer a welcome distraction, but for how long? Victoria Cornwall – A story of success.